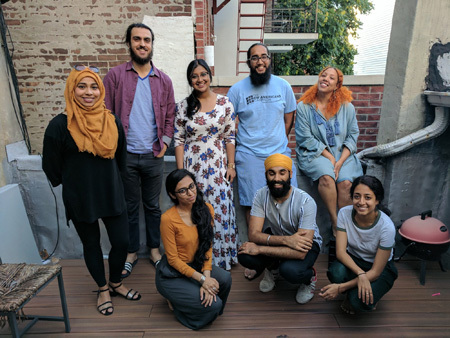 For the "Where We Belong: Artists in the Archive" project, SAADA partnered with five contemporary South Asian American artists, who each responded to stories from the archive to create a new artistic work in their discipline. The artist cohort included: Rudresh Mahanthappa, Chitra Ganesh, Chiraag Bhakta, Joti Singh, and Zain Alam. These new creations were shared with the public at an event in Philadelphia on April 8, 2017. 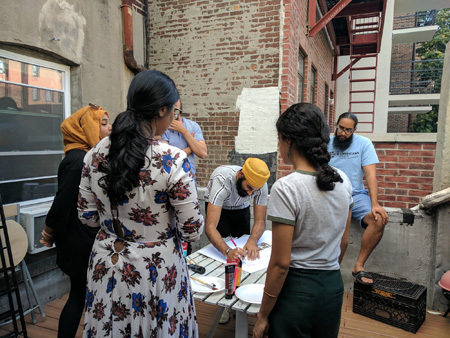 At this one-day symposium, SAADA brought together artists, archivists, activists, academics, and community members to explore ways to challenge the historic and continued erasure of stories of marginalized communities in the United States through storytelling, discussion, and art-making. The sense of community created at this event was profound and moving. 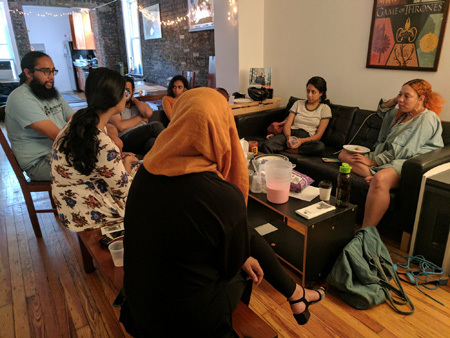 To share this feeling more widely, we invited community members across the country to organize intimate gatherings in their living rooms on August 5, 2017, the five-year anniversary of the mass shooting at the Oak Creek Gurdwara in Wisconsin. The artistic creations and discussion sparked by this project helped community members at these gatherings engage in conversation, debate, and most of all, a deeper understanding of our shared histories. We invite you to join this important conversation by organizing a community gathering at your home on August 5, 2018 (or another date of your choosing). 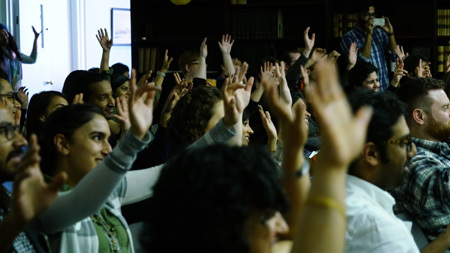 Sign-up below and we'll send you a digital event kit, including a script, videos, and other materials to host your event and have a meaningful dialogue about South Asian American history with your family and friends.